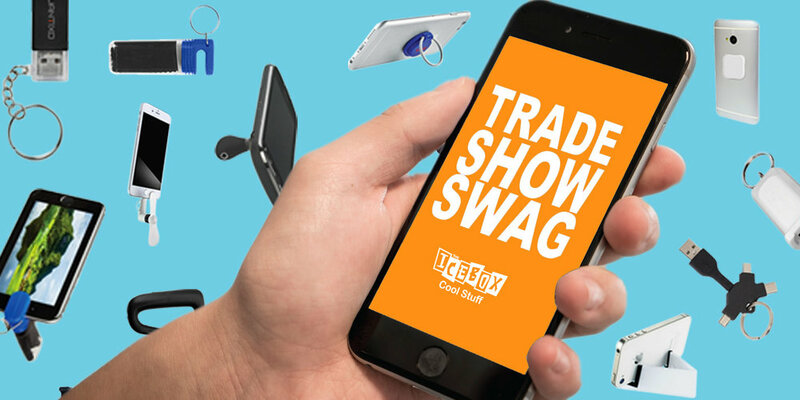 The cell phone is the one item that most people never leave home without, so it makes sense that promo items related to our mobile phones would be the most popular item at every trade show. Ideal for trade show giveaways the items in this guide are sure to draw interest, and be used time and time again from your prospective clients. The Loop Ring and Phone Stand can stick on the back side of a phone for phone holding and stand. It can be 180 degree rotated. 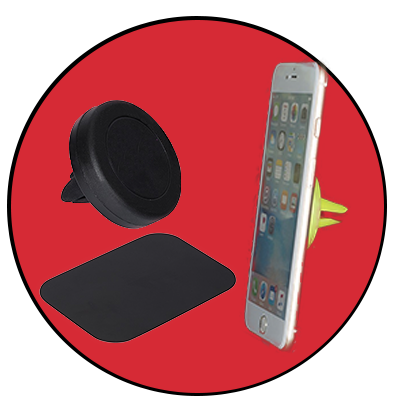 ABS plastic, PVC and magnetic phone holder for your car. No adhesive necessary - the magnets do all the work. Suction to back of phone or tablet for use as a stand. Remove suction cup cover to plug Into audio jack and use with two sets of earbuds (Earbuds not included). Feature microfiber cleaning cloth and protective plastic travel case with split ring attachment. The silicone cap holds a variety of phone sizes for easy viewing. View your phone clipped to your vent mount. The Clip-IT Vent Mount allows hands free visibility while driving. Secure vent clip to desired vent, clip ball in socket joint and insert phone into adjustable padded slot. 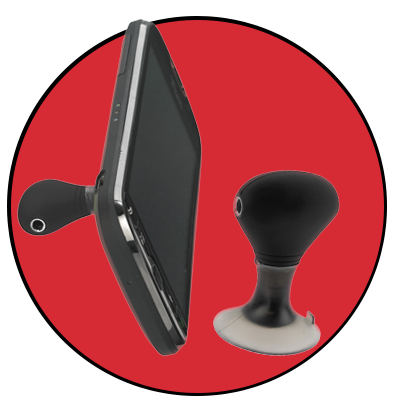 Articulating ball in socket allows landscape or portrait viewing. The invisible phone mount! 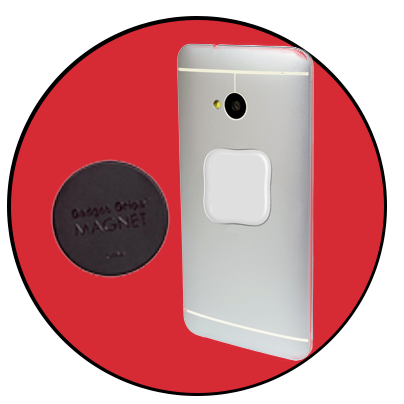 The Gadget Grips MAGNET comes with a super strong neodymium magnet that allows you to mount your phone wherever. 3M adhesive allows you to mount the magnet anywhere, the steel plate then adheres to your phone, leaving no sticky residue behind if removed. Gadget Grips technology keeps your phone from slipping and sliding when not used as a mount. The Slim Media Holder's sleek design allows it to act as a media holder for most media devices. It's ideal for watching movies or gaming. The Slot Charging Keychain contains 2-in-1 integrated tip for both Android and iOS devices. It also comes with a key-ring. Keep your wires tidy by wrapping the cord around the stylus keychain. Fun and functional! The Tech Nacho provides on-the-go organization for all the small device cords that tangle up your life. Securely store and carry all of your favorite tech accessories. Charge your devices on the go! Lightweight mini ABS plastic charger with a universal USB port. Detachable key ring for ease of use. USB cable not included. Key chain with USB 2.0 cable and 3 charging cables: 2 Micro USB connectors, 1 USB C connector. All 3 cables may be used simultaneously.